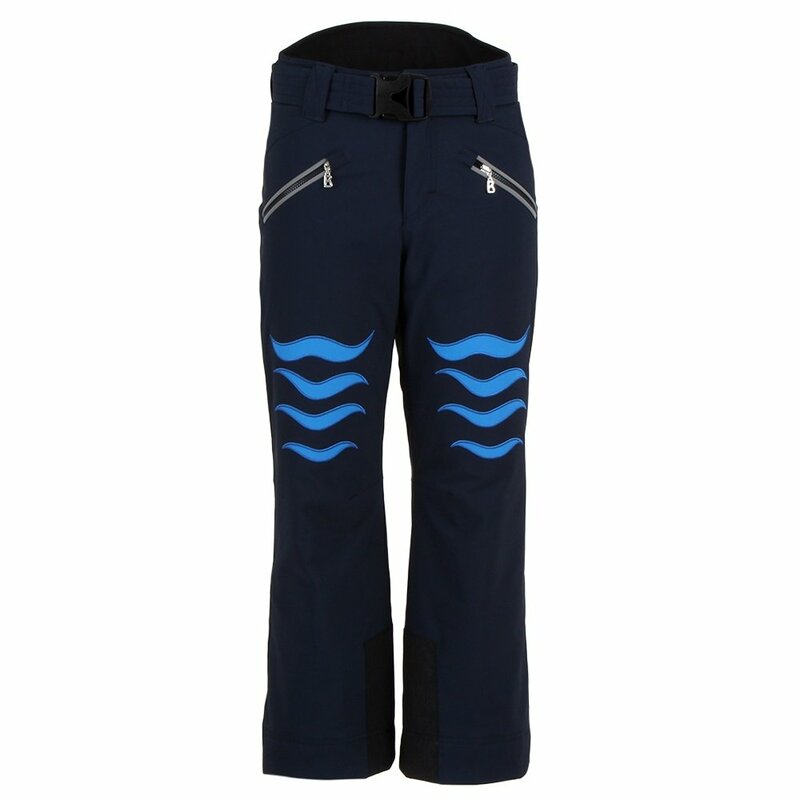 Boys are going to love the Bogner Tilo3 Insulated Ski Pant since it perfectly blends boyish, fun details with performance elements borrowed from men’s pants. A 15K waterproofing rating is ideal for most kids skiing at resorts since it keeps him dry in storms that last all day. And since he won’t have to go inside the lodge to stay dry if it’s snowing, it also has 80g of insulation and a stretch fabric, so he can freely send it into fresh snow. Style-wise, the Bogner Tilo3 Insulated Ski Pant has cool flame embroidery on the upper legs, small eyelets on the back pockets, and reflective piping on the front pockets.